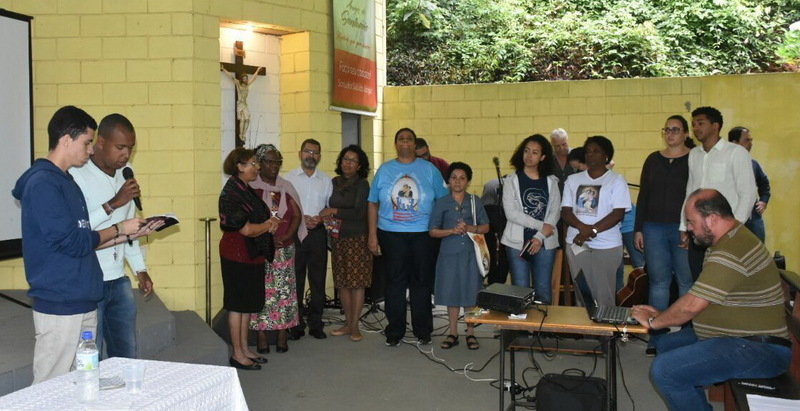 Various branches and communities of the Schoenstatt work were present, as was president couple of the diocesan council, Flávio Manoel dos Santos and Regina Celi Casarim dos Santos, directors Sr. Raquel Padilla, Fr. 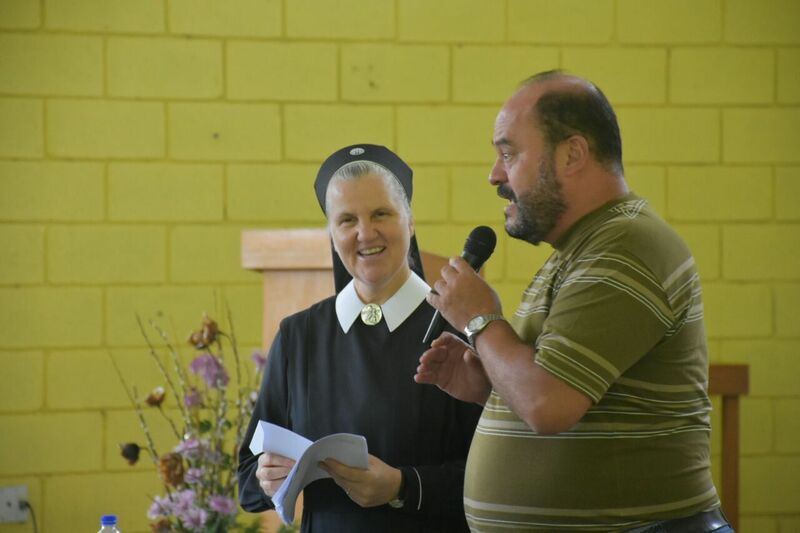 Marcelo Aravena and Sr. Lucia Maria Menzel. About 150 people attended the opening. Brazil needs change, she said. It needs saints and demands a change, starting with each one personally, in the small things. 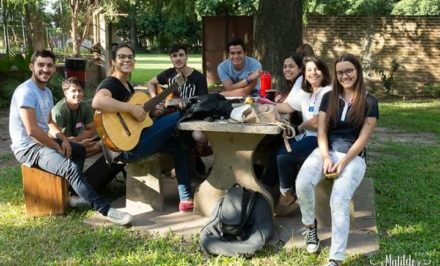 This happens through self-education, with the help of Mary, Mother and Queen, by aspiring for holiness: this is Fr. Kentenich’s legacy – to do the ordinary things extraordinarily well. 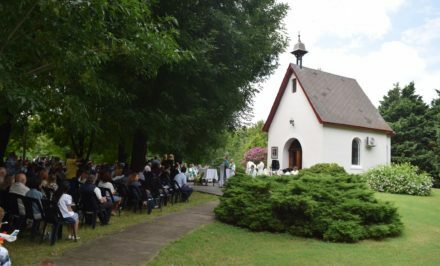 She pointed out the need to observe the world and reality through the “opening” that is the heart of Schoenstatt’s father and founder. What does each situation really say to us? How do we interpret the many attacks on family in the media, in behaviour, in legislation? 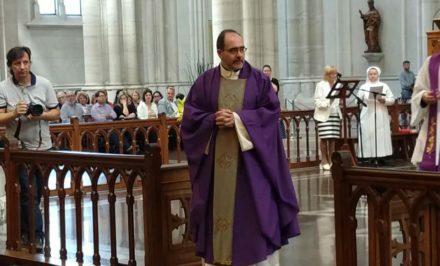 Is this the absence of God and fatherhood? 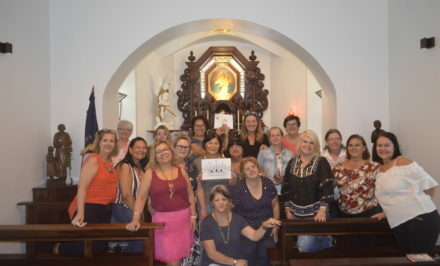 Sr. Lucia Maria advised looking with Fr. 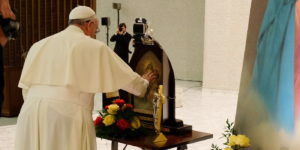 Kentenich’s eyes to understand what God is saying through events, because there is great need for families who are strengthened in God and in love. 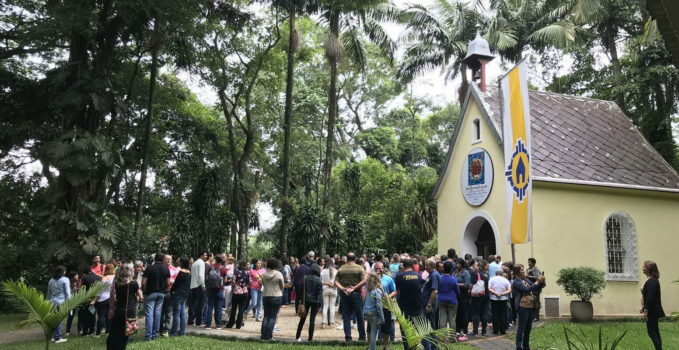 The president of the Council invited everyone to participate actively in the activities planned for 2018 under the motto: “United to the Father and Prophet, for a New Marian World.” The Schoenstatt Family in Jaraguá is currently united in a triennial preparation, striving to conquer a sceptre for its Mother and Queen, which will be placed in the Unity Tent at the jubilee celebration of the 50th anniversary of this shrine (31 May 2018). 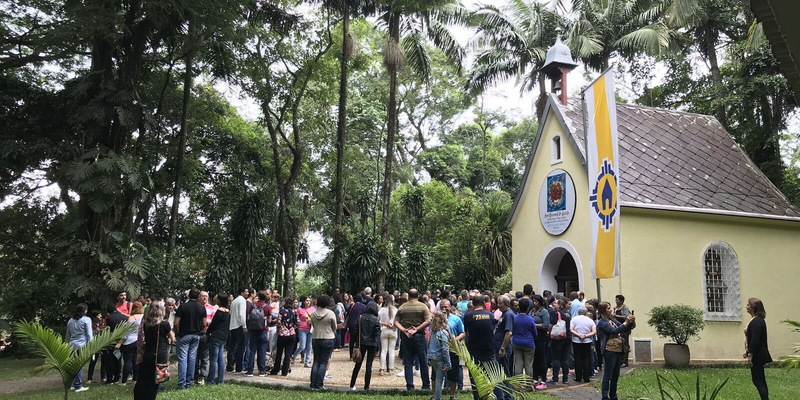 Everyone renewed their covenant of love in the shadow of the shrine, in the joy of having officially opened the year for the Schoenstatt Family in Jaraguá.